The new Renault Clio Hatchback is super relaxing to drive, if a bit less fun than it used to be. It’s more stylish, though, and it could even be argued that this is the best looking small hatchback around at the moment. The Clio is up against fellow established rivals, such as the VW Polo and the Ford Focus. It’s got its strengths – easy to drive, striking good looks and cheap to run engines, but it also has a few weakness, such as an interior that doesn’t feel as well-built or as classy as some of its rivals. OSV takes a closer look at what it’s all about with our Renault Clio 1.2 review. The Renault Clio has gained a reputation down the years for offering a sporty driving experience, but for 2016 the French brand have decided to tone things down a little. Instead of out-and-out fun, the Clio now offers a more measured driving experience that feels grown up. It’s both comfortable and refined. Most of the engines are competent, smooth and quiet. The only elephant in the room is a 1.2-litre petrol engine that’s too rough and noisy for our liking. It’s also sluggish, and takes 14.5 seconds to cover the 0-62mph “dash”. The standout petrol is a small 0.9-litre three-pot unit that’s right at home in a congested city. It’s agile, makes overtaking a cinch, and is the perfect companion for shorter journeys. Get it up to speed on the motorway, however, and its deficiencies are exposed. It lacks oomph and can only offer brisk performance at best. The entry-level 1.5-litre diesel engine matches the 0.9-litre petrol’s 89bhp output, but is better out on the motorway. It’s quicker out of the traps than the petrol engines, though a 108bhp variant is even faster and works better on longer journeys when you’ll be using more mileage. 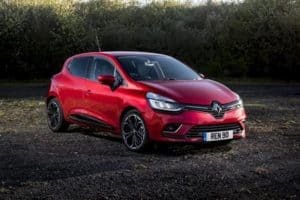 Thanks to light steering, the Clio is easy enough to drive, but we’re not massive fans of the five-speed manual transmission, which lacks accuracy. The EDC automatic ‘box is a better bet, but even this one can feel hesitant at times. Both fall behind rival transmissions, specially Volkswagen’s 7-speed DSG automatic. The suspension setup does a good job at absorbing lumps and bumps, and can offer safety, confidence, as well as lots of grip as you enter bends. The increased width of the car makes it one of the biggest in the class, and as a consequence parking isn’t always easy. Visibility, however, is very good. Thanks to an increased size, the Clio can offer a bit more space indoors. And thanks to being larger, it also feels more mature than ever. The view of the road ahead is excellent, thanks especially to high-mounted front seats. However, their side support isn’t fantastic, while the quality of their cloth depends on which trim you go for. The basic version suffers from really poor quality in this regard. Interior quality on the whole is much improved. There are more soft-touch plastics this time around, while we especially like the matt-black detailing. However, there remain criticisms: The stereo controls are less intuitive than standard-bearers in the range, while the Bass Reflex stereo has speakers that will rattle your door trims if you enjoy playing your music a little louder than your mom. Moreover, cheaper looking plastics are still hanging around, and the glovebox not only doesn’t look fantastic, but it also closes harshly. The three-door version has been dropped, as Renault aim to make the Clio more spacious and versatile. But despite being bigger than old versions, the Clio is still cramped in the back. The brand have, however, done a good job at transferring the modern, slick styling of the three-door onto the five-door. There is a good amount of room upfront, while accessing the rear is simple enough. Once you’re in there, though, space is at a premium – it’s also not helped by the sloping roofline, as well as the small windows that give the illusion of even less space. There are a good amount of storage spaces here and there at least, while the boot is one of the biggest in this class. Measuring 300-litres, it should be big enough to satisfy most buyers’ needs. The basic model is best avoided if you can afford to go higher, as it really is as basic as basic does. 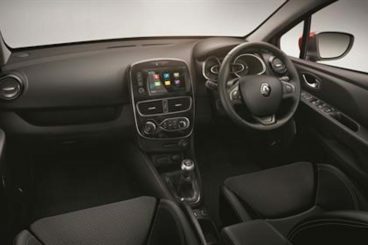 The Dynamique Nav trim is our top choice – it gets a 7” colour touchscreen, Bluetooth connectivity, a MediaNav system, DAB radio, and a hands-free key card. The optional extras list is quite small, and includes the likes of parking sensors and heated seats. A £600 TechnoPack gets you an upgraded TomTom sat nav, an R-Link touchscreen, and a better stereo. The colour packs don’t really add anything of note beyond a bit of added personality, and unless you know your colours well, you could easily end up ruining what would have otherwise been a good-looking car. Prices for the new car start out from £11,555 and rise to £18,355. If you want to lease the car, you can pick up a deal from as little as £107 + VAT per month. For more information on our Renault Clip finance and Renault Clio lease deals, you can check out our page here. In terms of running costs, the Clio is a bit of a star. It might be bigger than last time around, but it continues to set itself some high standards, thanks in part to stop-start technology. The cheapest engine to run in the range is the dCi 90 diesel, which can achieve fuel economy returns of 88.3mpg while being free to tax. Even the most expensive diesel is good for 80.7mpg. A small 0.9-litre TCe 90 petrol model comes with a turbo and is good for 60.1mpg, while emissions stand at just 105g/km of CO2. A more powerful 120 petrol engine can average returns of 52.3mpg if you fit with the automatic transmission. Not bad at all. Only the Ford Fiesta looks sharper better in this sector. It’s more modern and fresh than ever. Styling is the Clio’s trump card. Renault has made their new Clio customisable. Your options include matching colour schemes for the interior, wheels and paint. No complaints at all on this front – the economy is great. In terms of costs, only depreciation is an issue. It won’t hold its value as well as the Polo or the Peugeot 208. The new Clio can’t match the Polo, Fiesta or Mazda 2 for drivability. 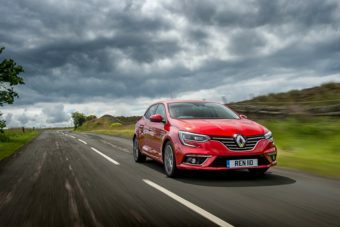 Let’s see how the Renault Clio measures up against its rivals in the comparison section of our Renault Clio Hatchback review. The new Ford Fiesta Hatchback has never looked more exciting. Sporting the looks of a racy hot hatch, it combines these aesthetics with a lively driving experience that makes it the top seller in this class. The Ford Fiesta Hatchback is hands-down the most fun car to drive in its sector, but you have to be careful when choosing your engine – choose the wrong one, and you won’t get the best out of this dynamic hatchback. For example, both the 1.25 and 1.6-litre petrol units are dated and really show it. They creak and groan on the move like an old man with a bad back, with the former taking 13.3 seconds to cover the 0-62mph ‘dash’. Slow poke! The 1.6-litre is quicker, and can do it in just 10.5 seconds, but it’s noisy on the motorway and feels underwhelming. The 1.0-litre EcoBoost petrol engines are much better rivals to the Clio. They come in a few power guises, are lively, smooth, quiet and eager. A 1.5-litre diesel engine rounds off the range after a few more sprightly petrols. Available in either 72 or 93bhp power guise, the diesel is a reasonable performer that’s well suited to the motorway. Running costs are as expected for such a small car – low. Most models are capable or returning fuel economy of at least 65mpg, but the cheapest to run is unsurprisingly the diesel. It’s good for 88mpg and costs nothing in road tax. The 1.0-litre EcoBoost petrol makes much more sense if you’ll be using the car mostly for shorter journeys, and it’s also free to tax. The Fiesta’s interior is no let-down. The overall quality is high, and there is plenty of comfort. The cabin design matches the exterior when it comes to boldness – you get a sweeping dash that comes with a centrally mounted screen, while we especially like the neat blue needles for that act as dials. The fit and finish is a bit flimsy, but there are lots of soft touch plastics here and there, especially in the top half of the interior. Look a little further, and you’ll find evidence of cheaper materials. 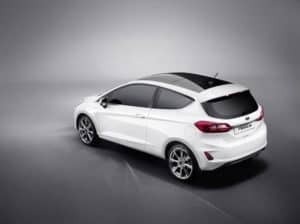 The Fiesta is not massively practical, and cramped rear seats will be a bit of a sore point in both the Ford and the Renault Clio. There is the option of a three-door model, but this limits practically even more, although it looks more stylish than the five-door variant. There are plenty of useful storage spaces dotted about here and there, including large cup holders in the centre console, while the boot measures 290-litres. This can be extended to 974 by folding the rear seats down. 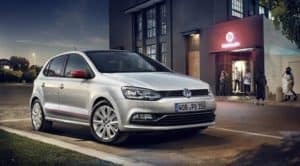 The new Volkswagen Polo Hatchback is better than it’s ever been. It’s an upmarket hatchback that boasts an excellent interior, and lots of standard kit. Unlike the Renault Clio, the VW Polo has never really been fun to drive. It still isn’t, with Volkswagen going for a comfortable, hassle-free driving experience that’s quiet and relaxing. However, while this remains true when the Polo is driving in a straight line, it’s weaknesses are exposed when you take it down winding country roads. The steering is overly light, and the suspension lets in to much body lean. We suggest that you avoid the underpowered entry-level 1.0-litre 59bhp petrol engine and instead take a look at either the 75bhp version, or the turbocharged TSI version, the latter of which does 0-62mph in 9.3 seconds. It delivers up to 108bhp, offers plenty of punch, and is at home both in the city and on the motorway. A turbocharged BlueGT is even quicker, and can do the 0-62mph dash in just 7.8 seconds. The diesel models are much slower, but more efficient. There are two versions of 1.5-litre power plant, and both are capable of returning fuel economy of 74.3mpg while emitting 97g/km of CO2. The petrols are fairly efficient too, though, with the turbocharged 1.0-litre TSI engine good for returns of 62.8mpg. Moreover, it only costs £20 a year to tax. The Polo’s interior is class-leading. It’s comfortable, refined and has a big-car feel to it. Fit and finish is outstanding, while the materials used are mostly of a very high quality. The design is restrained and conservative, but it’s also slick – case in point being the slender steering wheel, which looks very contemporary. The centre console follows a similar thread – it’s minimalist and free from clutter. The Polo fares pretty well on the practicality front. The interior is reasonably roomy, accessing the rear seats is easy in the five-door model, while among the ample storage spaces are cup holders, map pockets, and deep door bins. The boot measures 280-litres, and benefits from a wide opening and low load lip. Despite entering its fourth year already, the Clio still looks modern and fresh-faced. It’s fun to drive – though not as fun as some rivals – and is super cheap to run. 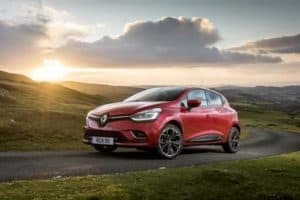 It comes with lots of cool new in-car tech, such as a control screen that’s very tablet-esque, and the Renault Clio Hatchback remans an important car for the French brand and buyers alike. Looking For A Price For The Renault Clio Hatchback?